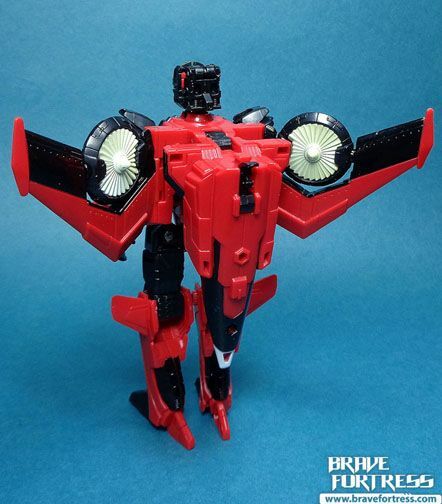 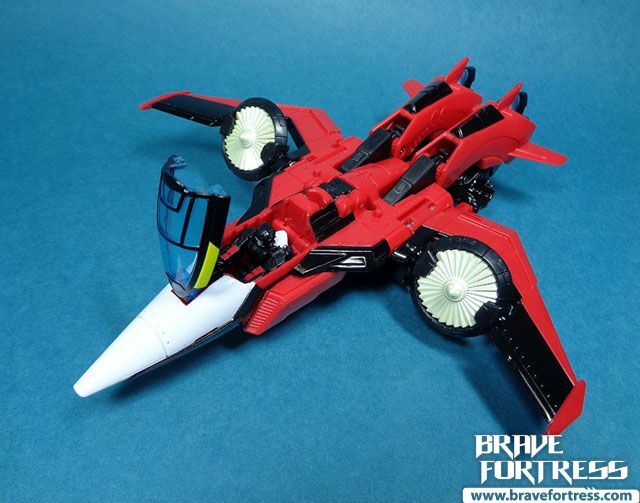 Jet mode features adjustable wings and turbines for VTOL. 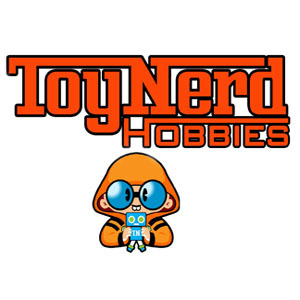 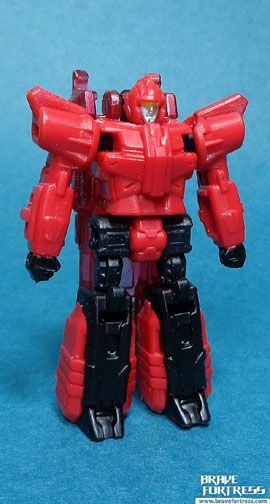 Pointech (aka Pinpointer in the US version) was originally the Targetmaster of Crosshairs in the G1 vintage line. 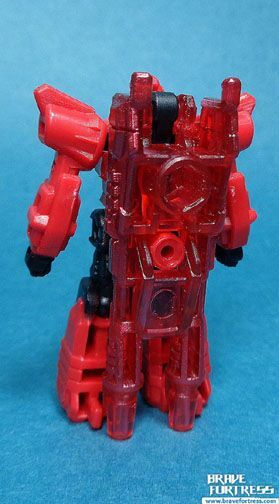 Here, he’s a redeco of Recoil (Kup’s Targetmaster). 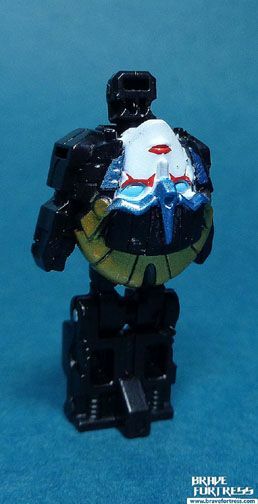 Pointech can be equipped on jet mode. 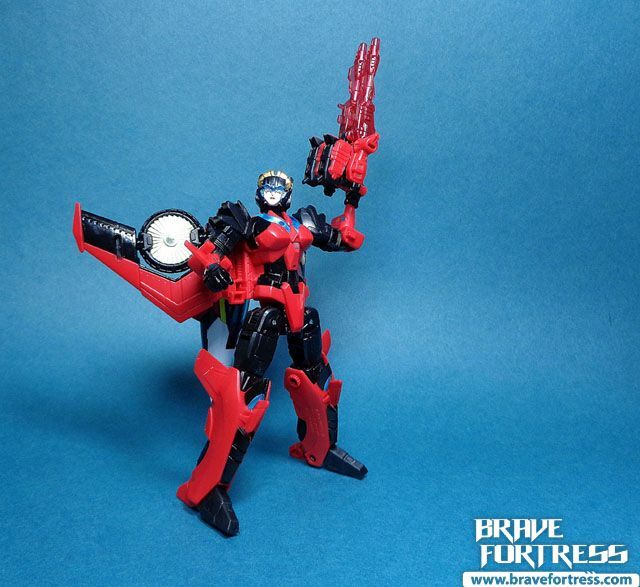 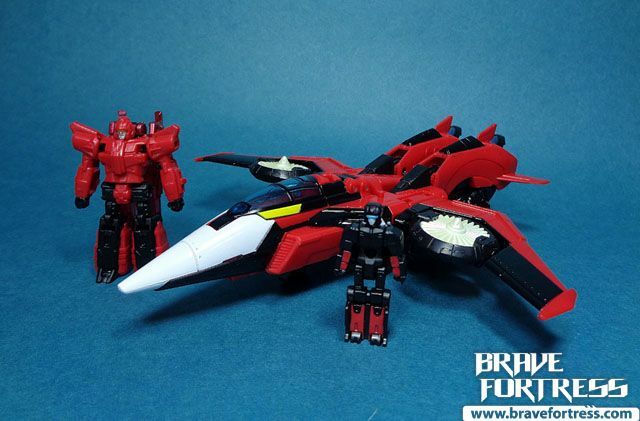 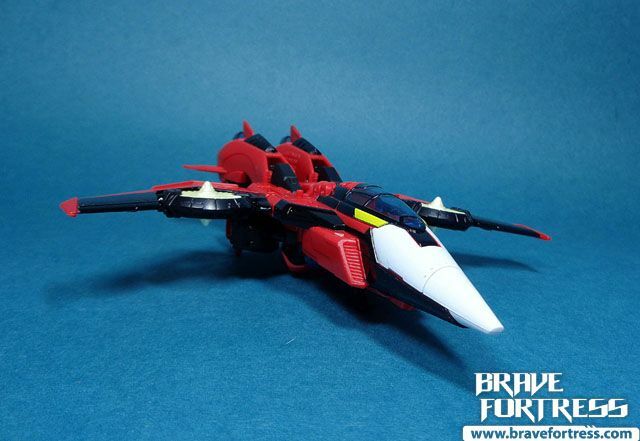 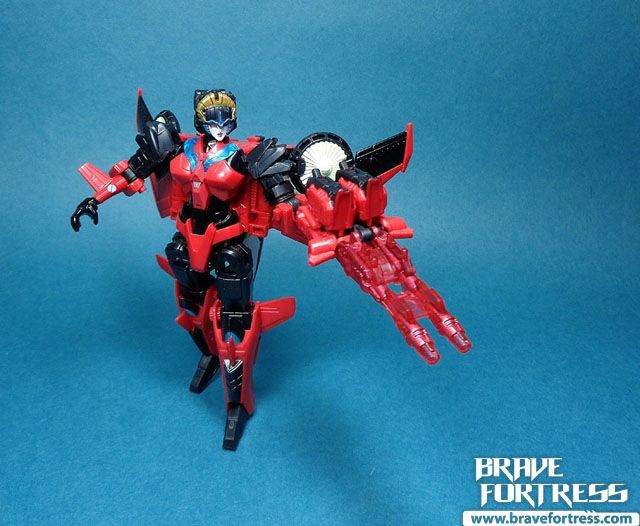 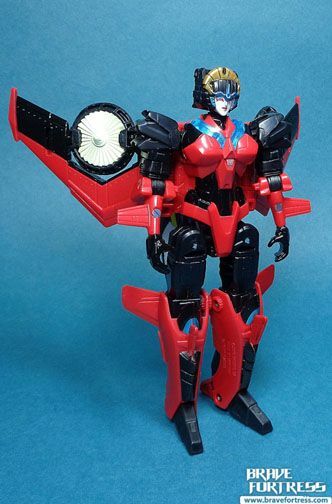 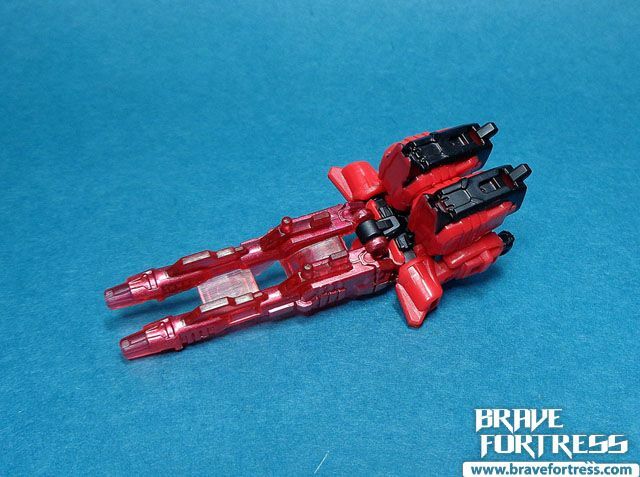 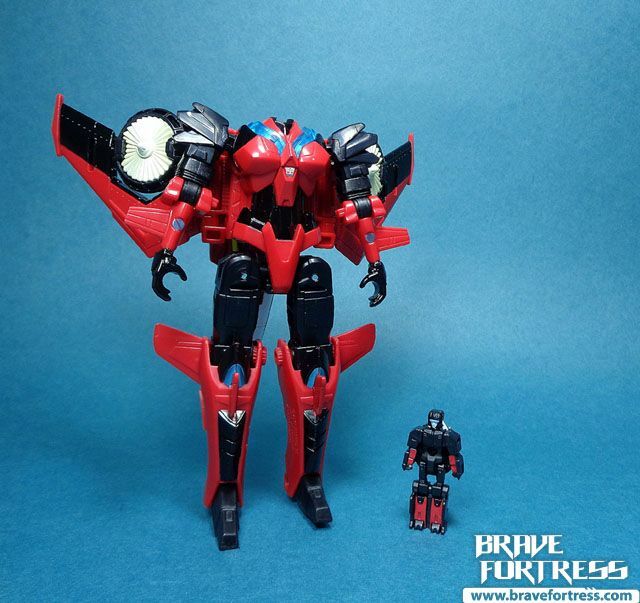 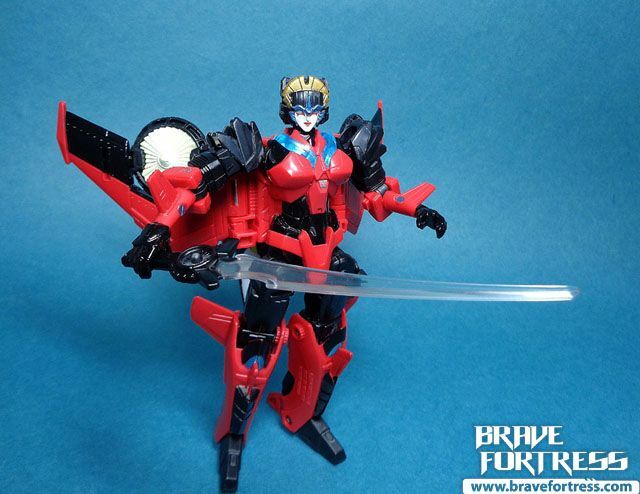 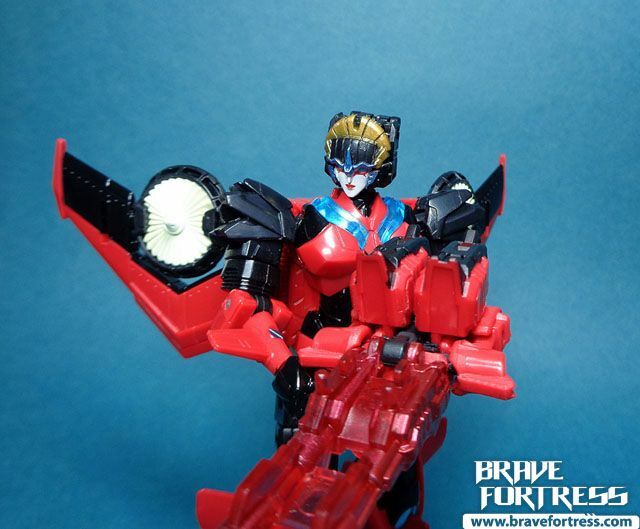 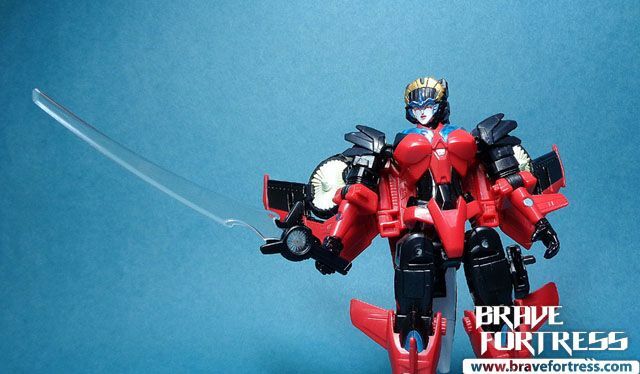 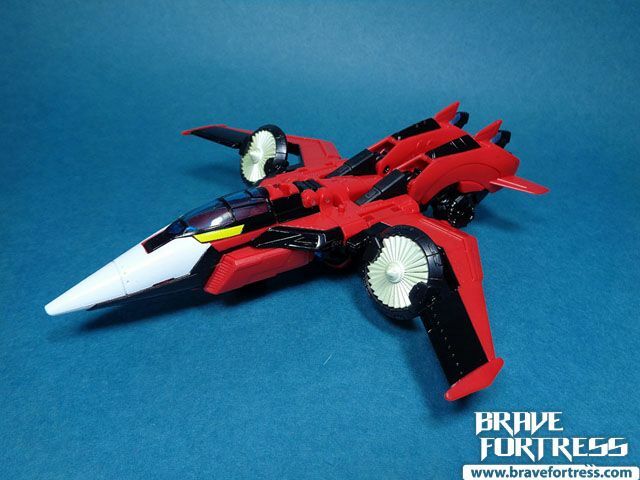 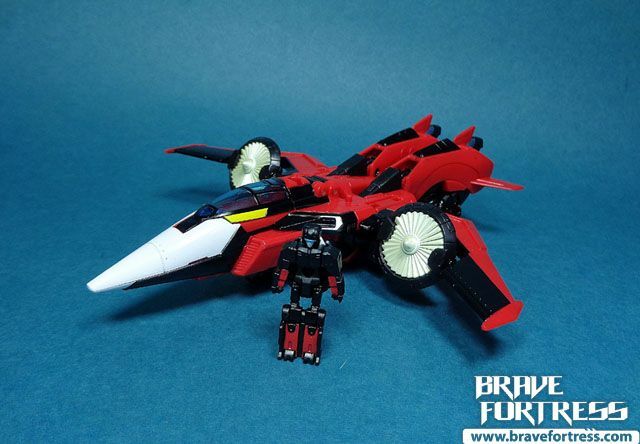 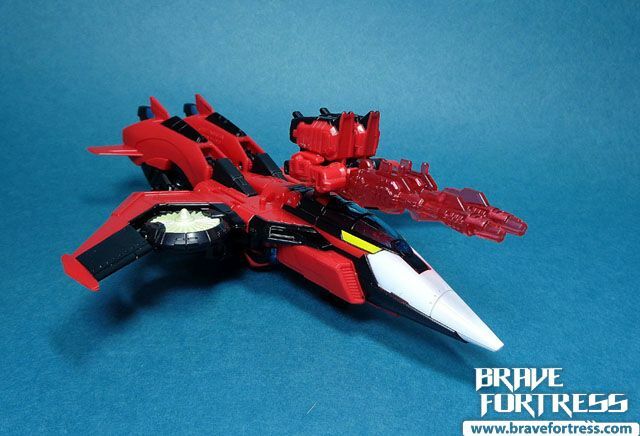 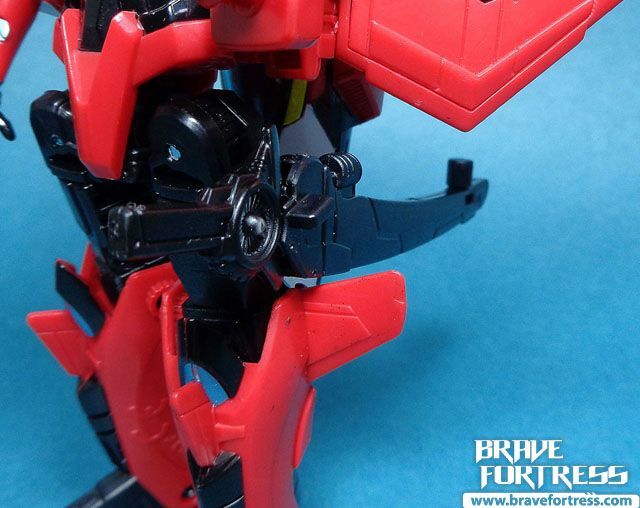 This version of Windblade is a heavy retool of the Highbrow/Scourge design. 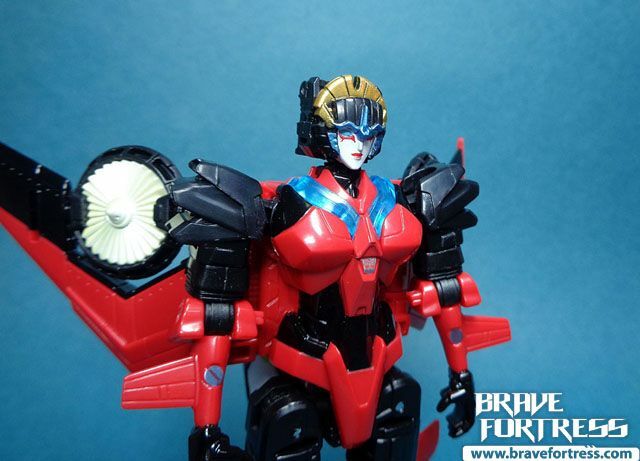 I was going to skip this altogether since it seems to “Butch” for a female Autobot and I prefer the previous Generations mold better. 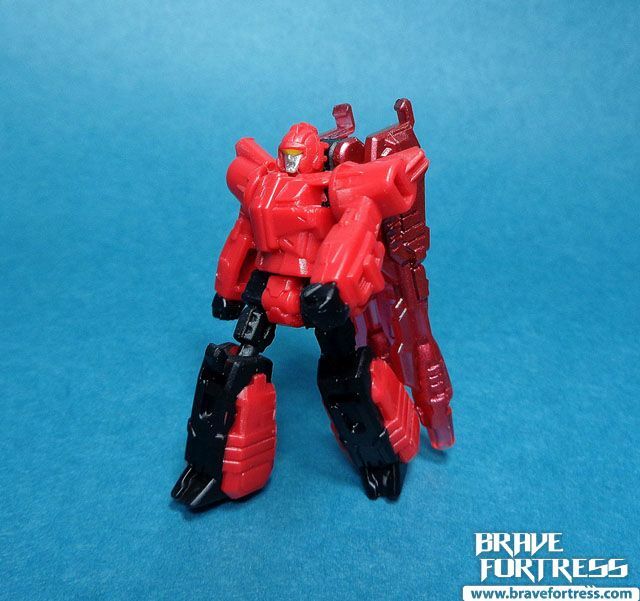 But since Takara threw in the Pinpointer Targetmaster, I caved and decided to get her anyway just to complete the Targetmasters. 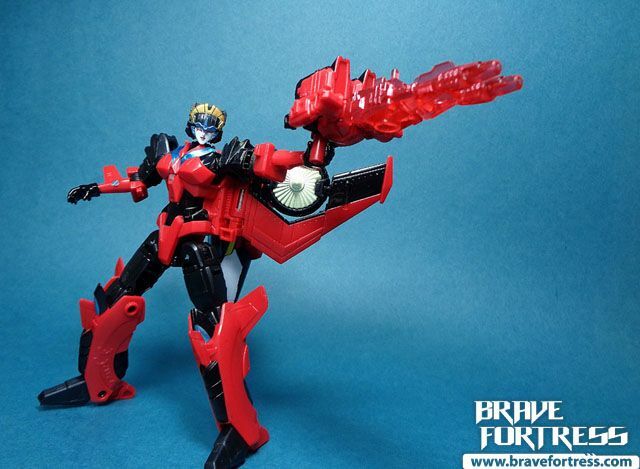 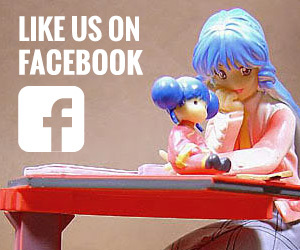 She also comes with her sword from the Generations line. 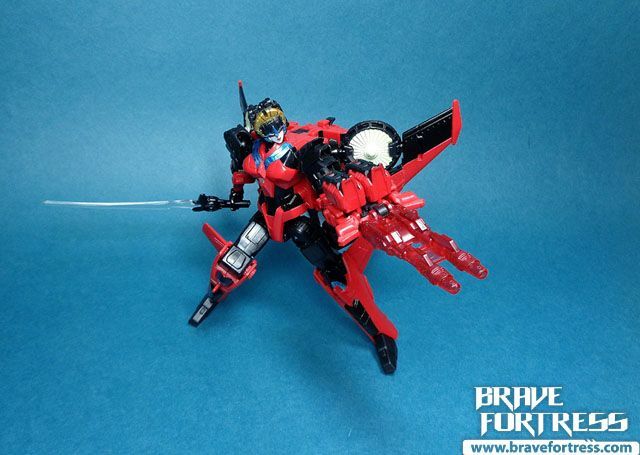 The wheel in the sword can actually rotate. 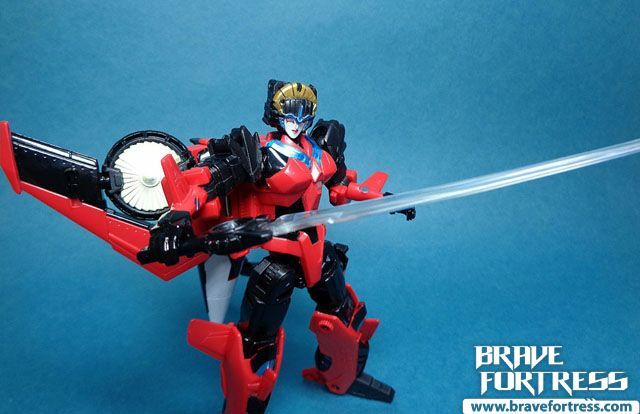 Sword scabbard can fit into the slot on her thigh. 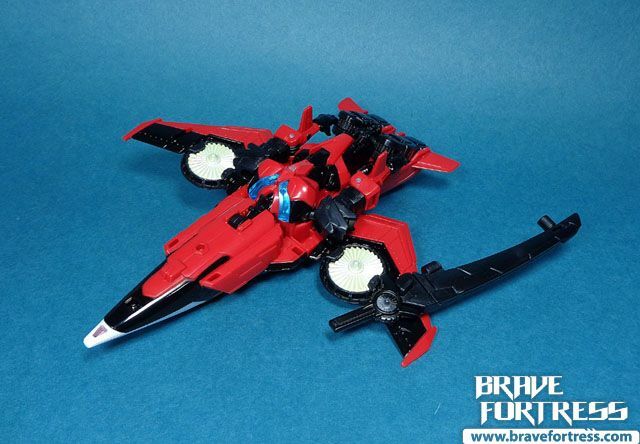 It also pegs into a slot under the wing.